I managed to finish the second installment of Gnome for the Holidays. Although the background fabric may look like dots, they are actually tiny stars. I had a little fun with my Christmas and winter stash. 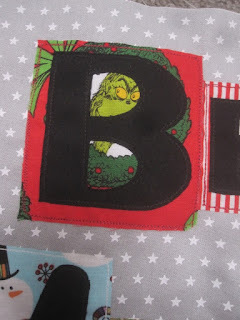 There's sly old Grinch peeking out behind the 'B'. 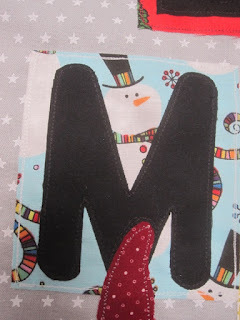 A snowman sliding down the 'M'. 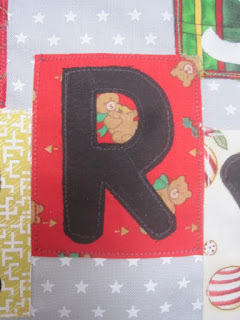 And little teddy bears playing behind the 'R'. 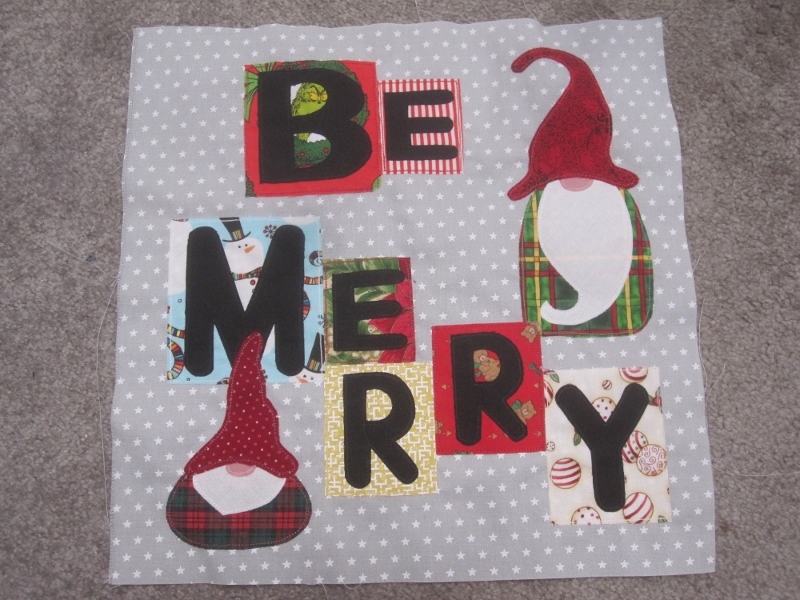 I haven't posted much because I have been busy sewing, knitting and looking after my little grandchildren. Once things settle down, I'll post more. The fabric in the holes in those letters, so lovely, This will be wonderful when joined up with the other blocks . Love your Gnome for the Holidays block. Adorable. I love little surprises like those characters peeking behind the letters. I love the Grinch peeking out (not that I'm a fan of the Grinch or anything!!!! ).